Northern Manitoba has a 10,000 year legacy of adventure and trade. With 67% of Manitoba’s land area and 6% of its population, the region has been a long-term net contributor to the economic prosperity of all Manitoba, as the source of some of the province’s richest natural resources and tourism icons. In northern Manitoba, 73% of the population self-identifies as Indigenous and 52% of the population lives on a First Nation. And yet, little is known about how and how much Indigenous people are contributing to the economy of the North and to all of Manitoba. 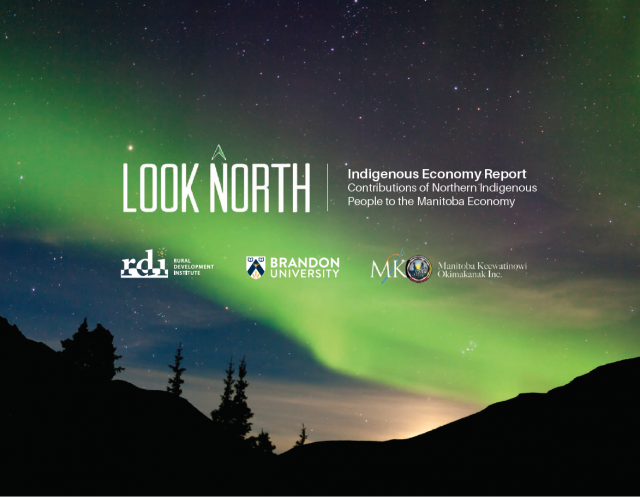 Download the “Look North Indigenous Economy Report,” which was released April 10, 2019 in Thompson, MB at MKO’s Northern Urban Reserve, Municipality & Economic Development Forum.